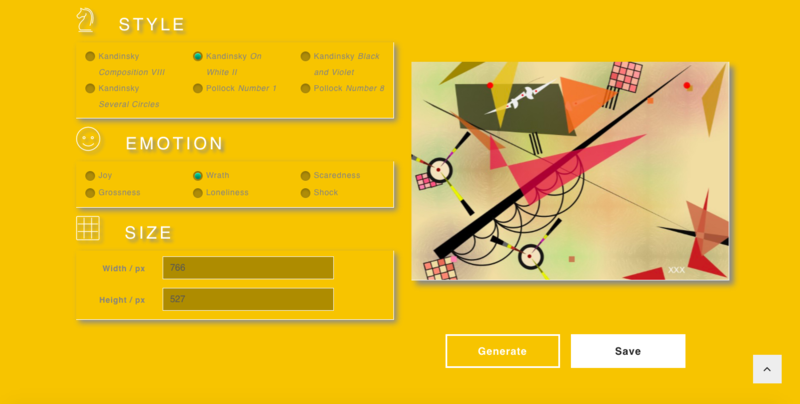 Invented and developed by Professor Kang Zhang, a Professor in Computer Science at the University of Texas at Dallas, and his team, a new generative art software system, known as GALA (Generative Art for Limitless Applications), is able to automatically generate abstract images of Bauhaus and well-known artists’ styles, including Kandinsky, Klee, Miro, Mondrian, Picasso, and Pollock. The techniques and algorithms used in the system have been published in SIGGRAPH Asia, Leonardo journal (MIT Press), The Visual Computer journal (Springer), IEEE Transactions on Visualization and Computer Graphics, and other international conferences. In collaboration with Professors Kaiping Peng and X.J. 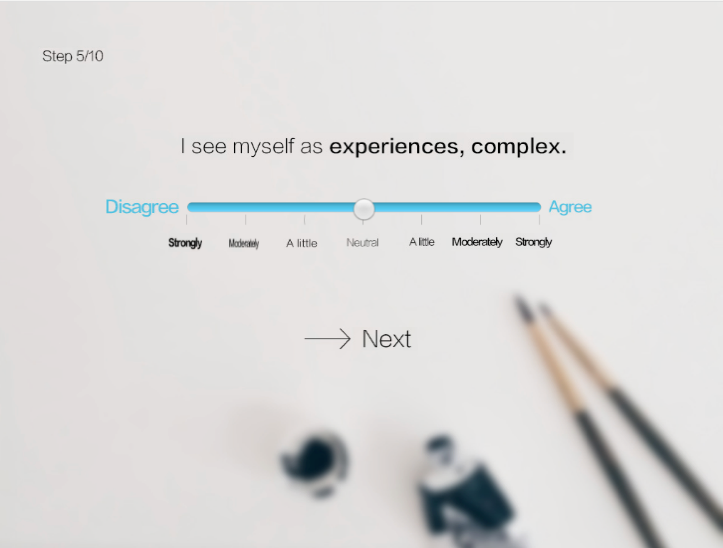 Sam Zheng of Tsinghua University Department of Psychology, Professor Zhang has developed PsychArt, a personalized image generation Web system based on the Big Five Personality Traits. 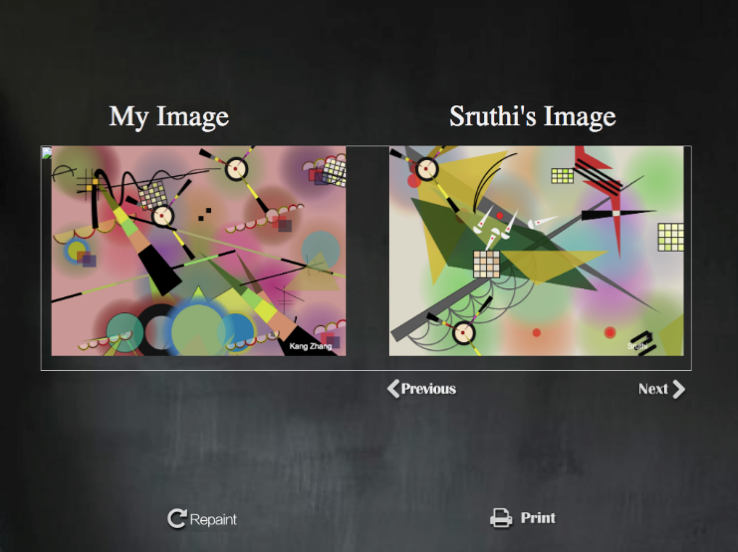 PsychArt provides a user-friendly interface that allows the user to select the scales of ten self-descriptive items and automatically generate a Kandinsky styled image representing the user’s personal profile. It was first experimented at Alibaba’s Hupan University in China with great success. 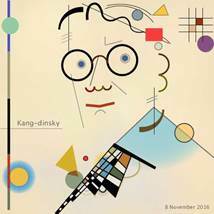 Using the Kandinsky styled visual elements, Professor Zhang has also developed a parameterized generator for Kandinsky Fonts, including 26 capital case and 26 lower case letters. 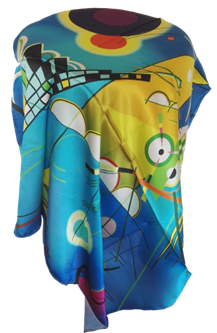 Example products using the generated images include silk scarves, ties, mugs, and mousepads, as shown below. 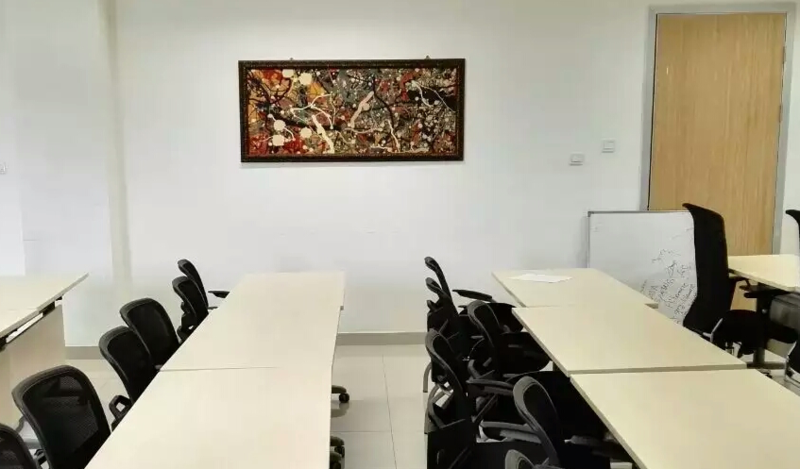 GALA-generated Pollock paintings have been hanging on the walls of Tianjin University in China, and GALA-generated Kandinsky paintings have been made gifts for academician and special advisors to Tianjin University (see figures below). 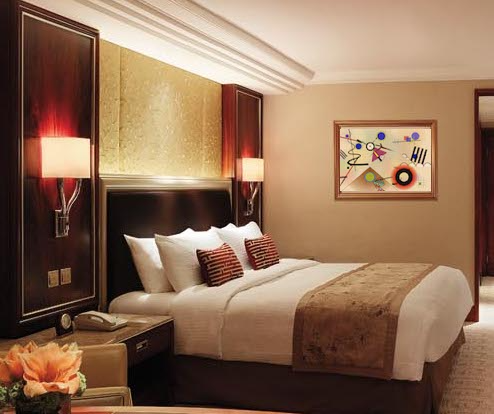 One application of the generative techniques is to generate abstract images of desired styles for hotel and restaurant decoration and interior design. 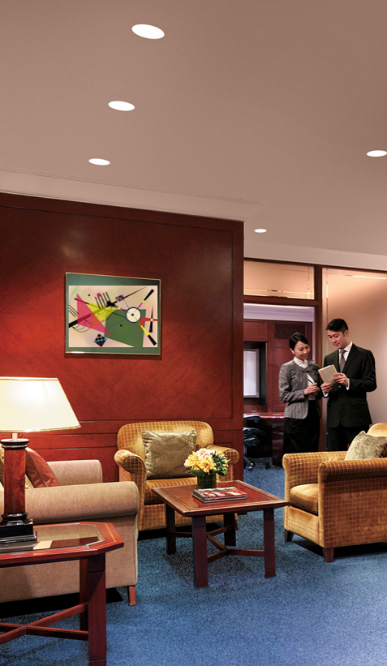 A typical design is to assign a single style of distinct paintings to each functional area or floor, including corridors and rooms (as modeled in the following figures). The cost of generating and producing these paintings is minimal comparing with manual processing or painting. Professor Kang Zhang is an accomplished artist himself, who has won provincial prizes in oil paintings and Chinese calligraphy in China in 1980s. 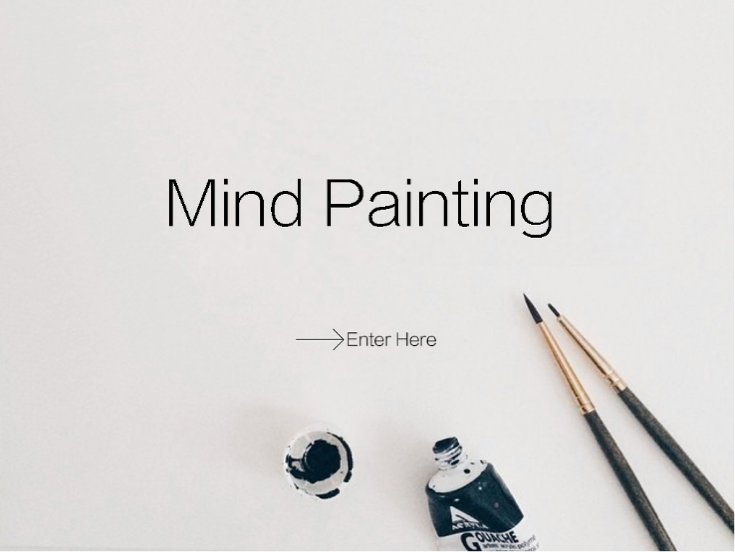 He is still practicing oil painting, calligraphy and logo design. His professional home page is at www.utdallas.edu/~kzhang. K. Zhang, S. Harrell, and X. Ji, Computational Aesthetics - On Complexity of Computer-Generated Paintings, Leonardo, MIT Press, Vol.45, No.3, 2012, 243-248. Y. Zheng, X.C. Nie, Z.P. Meng, W. Feng, and K. Zhang, Layered Modeling and Generation of Pollock's Drip Style, The Visual Computer, Vol.31, No.5, 2015, Springer, 589-600. W.Y. Tao, Y.X. 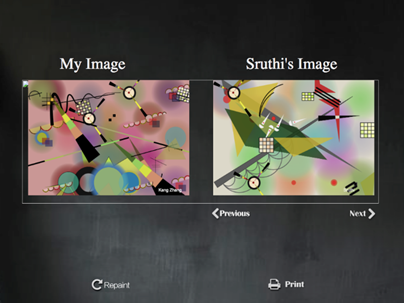 Liu, and K. Zhang, Automatically Generating Abstract Paintings in Malevich Style, Proc. 13th IEEE/ACIS International Conference on Computer and Information Science (ICIS'2014), Taiyuan, China, 4-6 June 2014, 201-205. K. Zhang, J.H. 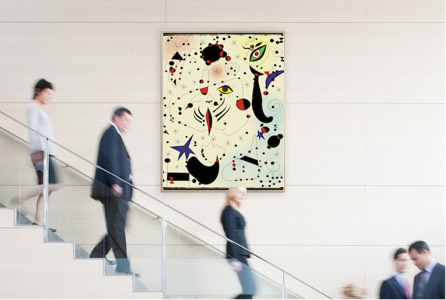 Yu,Generation of Kandinsky Art. Leonardo, MIT Press, Vol.49, No.1, 48-55. 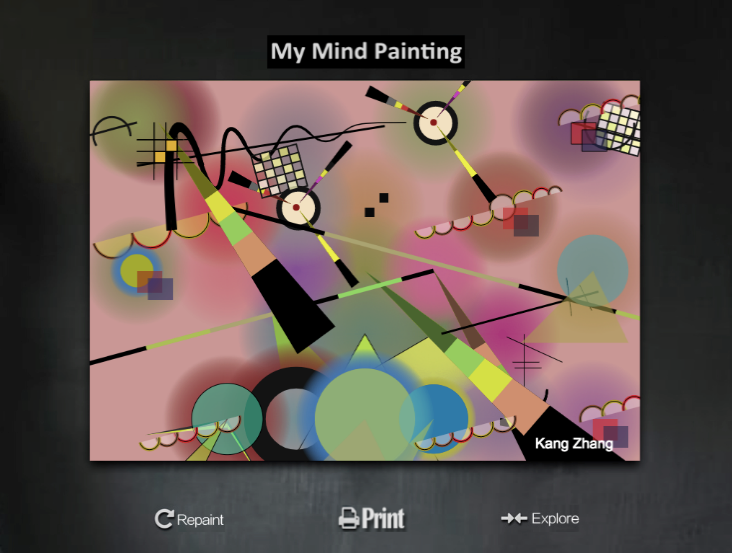 L. Xiong, K. Zhang, Generation of Miro's Surrealism, Proc. 9th Symp. on Visual Information Communication and Interaction (VINCI'2016), Dallas, USA, 24-26 September, 2016, ACM Press， 130-137. 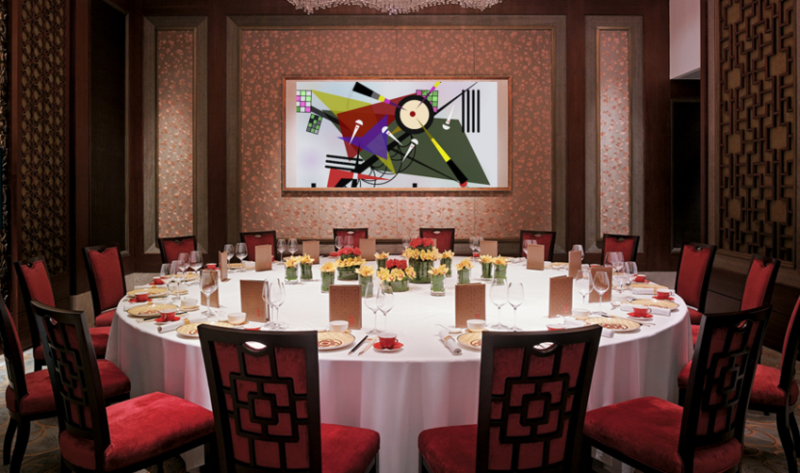 G. Lian, Y. Wang, K Zhang, An Attempt in Modeling Picasso's Cubism Style, Proc. 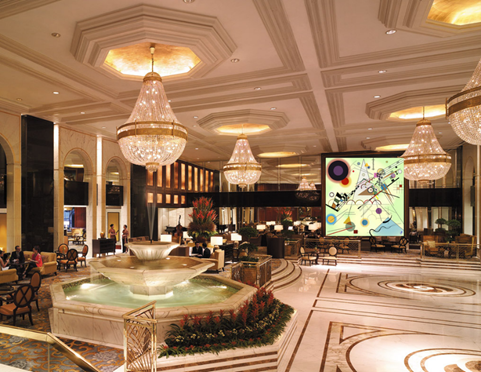 SIGGRAPH Asia 2016, Macau, China, 5-8 December 2016, ACM Press, Posters: 53. Y-N. Li, K. Zhang*, and D.J. Li, Rule-Based Automatic Generation of Logo Designs, Leonardo, MIT Press, Vol.50, No.2, 2017. Z.B. Fan, K. Zhang, X.J. Zheng, Evaluation and Analysis of White Space in Wu Guanzhong's Chinese Paintings, Leonardo, MIT Press, posted online February 2017. Z.B. Fan, Y.N. Li, J.H. Yu, K. Zhang*, Visual Complexity of Chinese Ink Paintings, Proc. ACM Symposium on Applied Perception, Cottbus, Germany, 16-17 September 2017, ACM Press. J.J. Zhang, K. Zhang, J.H. Yu, Computer-Aided Generation of Mandala Thangka Patterns, Proc. 10th Symp. on Visual Information Communication and Interaction (VINCI'2017), Bangkok, Thailand, 14-16 August 2017, ACM Press, 93-100. K. Zhang, Y.H. Bo, Y. Yang, Towards a Design Generation Methodology, Proc. 10th Symp. on Visual Information Communication and Interaction (VINCI'2017), Bangkok, Thailand, 14-16 August 2017, ACM Press (poster), 71-72. M. Zhang, H. Li, K. Zhang, J. Yu, Computer Simulation and Generation of Moving Sand Pictures, IEEE Transactions on Visualization and Computer Graphics, online December 2017. Y.H. Bo, J.H. Yu, K. Zhang, Computational Aesthetics and Applications, Visual Computing for Industry, Biomedicine and Art, Springer, accepted to appear, August 2018.